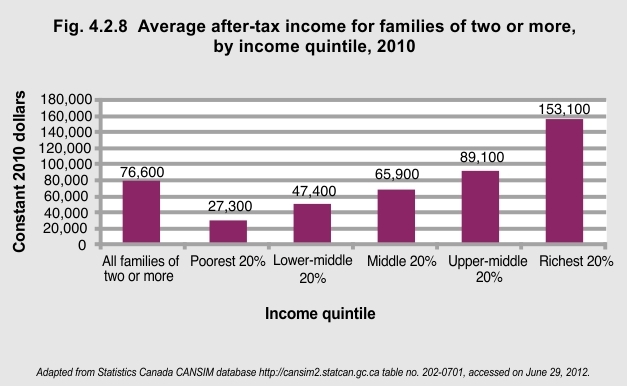 In 2010, the average after-tax income of all families with two or more children was $76,600. The richest 20% earned $125,800 more than the poorest 20% (about 5.6 times greater). Toronto, ON: York University School of Health Policy and Management. Accessed on June 29, 2012 at http://www.thecanadianfacts.org/The_Canadian_Facts.pdf.